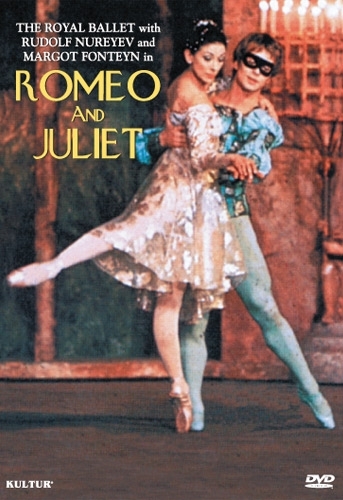 Romeo And Juliet features the music of Sergei Prokofiev; a work which has been recognized as the first great full-length ballet score since Tchaikovsky's classics. The choreography of Kenneth Macmillan is acknowledged as the reason for the ballet's successful transfer to the film medium. John Lanchbert conducts the Orchestra of the Royal Opera House Covent Garden. 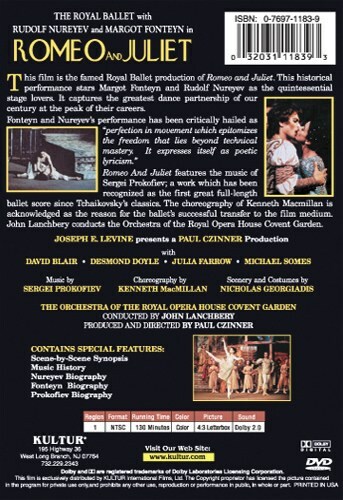 "This DVD presents the 1966 film of Kenneth McMillan's brilliant Royal Ballet production of Prokofiev's ballet Romeo and Juliet. The dancing of Nureyev and Fonteyn is legendary. They produce one memorable moment after another. The rest of the company is beyond reproach, and John Lanchbery conducts a lively, lyrical, and well played interpretation of Prokofiev's magnificent score."